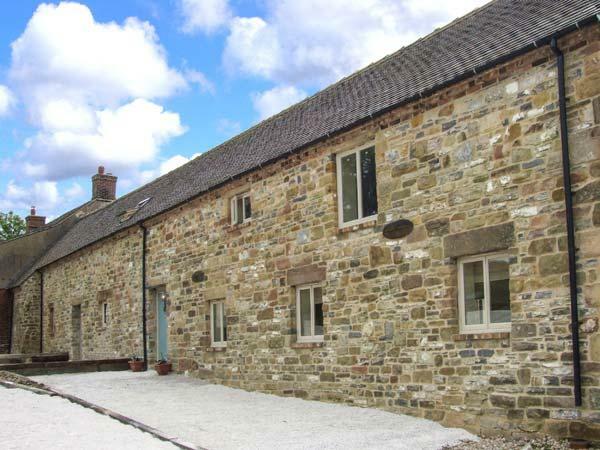 Built in the 1700's, this one time miners cottage has now been restored and converted into a high quality Peak District cottage available for week long or short break lettings throughout the year. 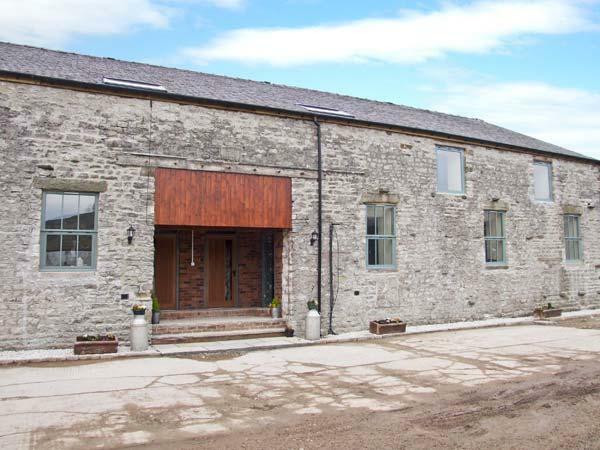 Guests enjoy the peace and tranquility of a rural location whilst having modern conveniences and free WiFi. The cottage sleeps six in two double bedrooms and one twin bedroom. The cottage has been tastefully appointed in order to retain as much of the original character as possible whilst ensuring a warm cosy place in which to relax and unwind from the stresses of everyday life. The cottage has a large lounge with log burner, exposed oak beams and is complimented by a bright decor. The cottage is fully centrally heated and has a wood burning stove to give you that little extra warmth and visual, cosy feel throughout. (logs supplied). The cottage is equipped with all the little things that make your stay so much more comfortable. All linen, towels and toilet rolls are provided together with dishwasher and washing machine tablets. 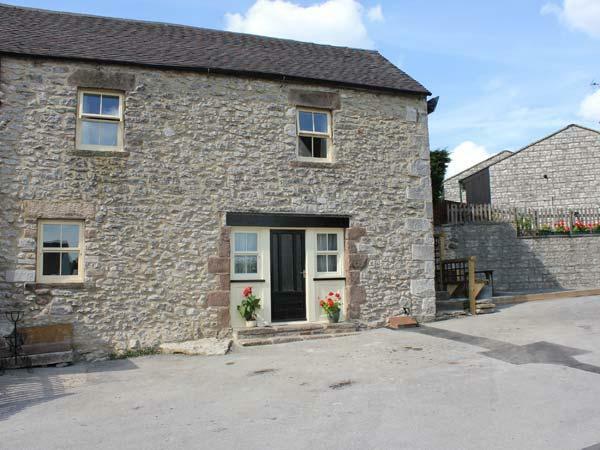 A lovely cottage in the heart of the beautiful village of Castleton. Very well equipped and clean, with all the comforts of home, with the addition of a fantastic log burner. Have stayed here twice and will be back. We stayed at Cliffe cottage with another family and thoroughly enjoyed our stay there. As we stayed in a December it was lovely to see a decorated Christmas tree in the cottage, which was a thoughtful touch by the owners. The facilities at the cottage had everything we needed and particularly the kitchen is very well equipped compared to other cottages we stayed in. The beds were all comfortable to sleep in and everything was very clean. The position of the cottage is brilliant as you are so close to Peak Cavern and the river. It only takes a few minutes to walk into the Centre of Castleton. We can highly recommend this cottage and will certainly be visiting again in the future! The directions given when we booked were good and as we had a lot of stuff to unpack after first walking to the cottage I decided to drive down the bank to it.... Only attempt this if you are a confident driver as you have to manoeuvre through a tight gap at the bottom of the hill! We drive a 4x4 and managed to squeeze through so if you don't want to carry all your possessions down the hill (or it's poor weather) it is possible to get your car all the way to the door! Once unloaded parking in the residents car park is only a short walk away. 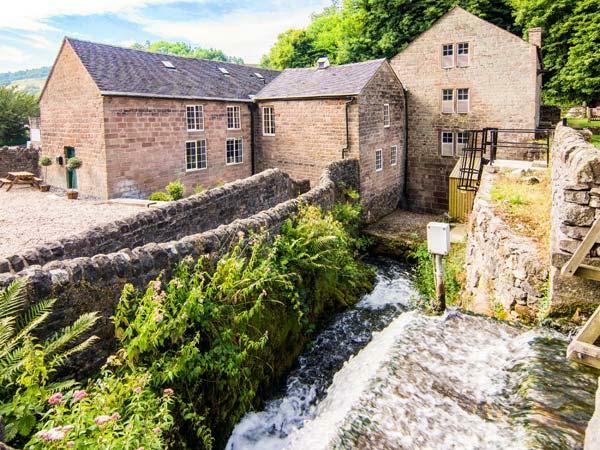 The property is nestled into the side of the gorge leading to Peak Cavern so views are limited but if you intend spending your time out and about walking/cycling/caving etc then no need to worry. If you do plan to cycle and bring your bikes there is a large garage attached to the house! Beds were clean and comfy, the bathroom clean and a reasonable size the kitchen had plenty of equipment and the lounge/diner had plenty of space for us all. We have 2 large dogs so were grateful for the 'no extra charge for pets' as sometimes the additional pet fees can be quite high. Plenty of pubs in walking distance and lots to fill your days with in the local area. We are really happy that you had a great break. I have scraped my car getting down the hill which was an expensive mistake! The car park is only a short walk away. Lovely cottage , warm cosy and wood burning stove excellent! Everything you need in cottage and Castleton is lovely just down road . I have to mention though as we arrived we parked up the hill from the cottage to unload , an elderly lady who wasn’t friendly at all started complaining loudly ! We tried to explain that our son had baby equipment to unload and would only be few minutes! We weren’t blocking a drive or anything? Anyway as my son got the prom out the lady took a swipe at him !!! We were quite shocked and I said I think you should apologise!! In the end she said sorry !! We carried on and moved our cars and parked in the car park as instructed by owners ! We never saw her again and we enjoyed the weekend . Just don’t park at the corner house at top of hill !!! It didn’t spoil rest of holiday but didn’t expect that welcome from locals !!!! We are very sorry that you have had this experience with one of the local residents. This is first time we have heard of such an outburst and we hope that it was an isolated incident. We are very glad that you were able to enjoy the rest of the weekend. 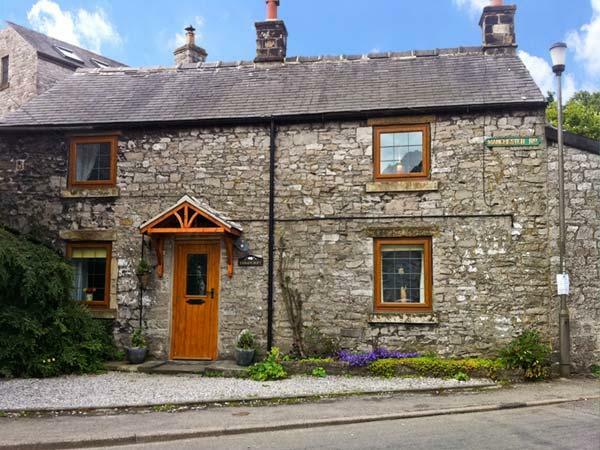 Lovely cottage in the lovely village of castleton. 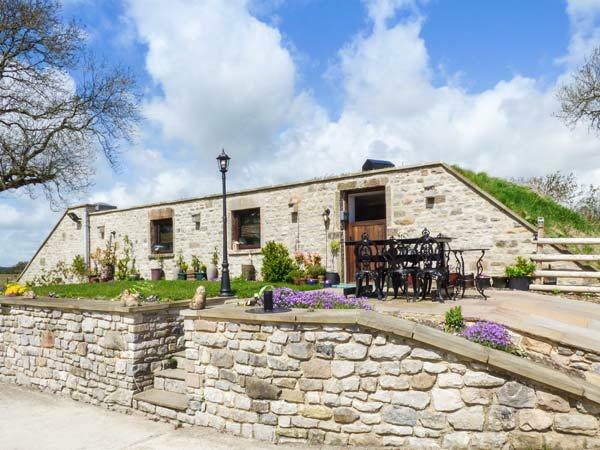 An excellent base to explore the Peak District or simply just relax In the village as there is excellent walking on your doorstep and a great selection of pubs. We all had a great time and have booked up for another stay in the cottage. Comfortable, clean, convenient: this cottage met all our needs and more. The owners were very helpful. The location is lovely for walking and cycling during the day, and beautifully calm in the evening. 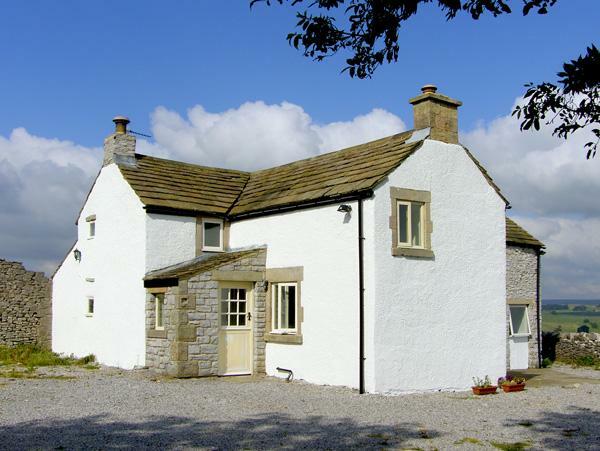 I'd definitely recommend this cottage and would use it again if I stay in Castleton in the future. Lovelly cottage in a spectacular location. The cottage is absolutely charming, this is our second visit. 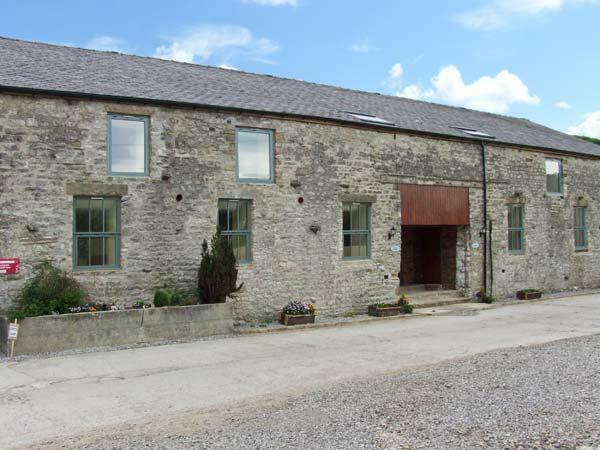 It is comfortable and well appointed, and the village of Castleton is idyllic. We love the fact that the cottage is virtually next door to Peak Cavern. Walking the dogs up there at night is brilliantly eerie. Altogether a lovely place. Make up of party: 2 Adults + 16, 15, 13 and 12 year olds. This was our third visit to Cliffe Cottage, we are smitten with this holiday home. It is situated in a idyllic location, which offers a peaceful retreat but with plenty of activity locally. The cottage offers all the comforts of home, presented beautifully & most importantly it is very clean. Make up of party: Family sharing, 4 adults, 1 baby & 1 dog. 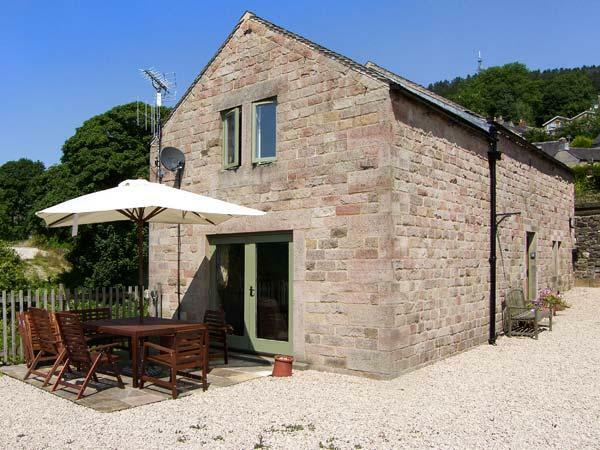 We had a lovely stay in the cottage, which is ideally located for visiting the Peak District. It is well equipped and comfy and it was lovely not to have to think about washing powder and dishwasher tablets. I was also able to do an online delivery from Sainsburys to the cottage which makes a huge difference to our holiday as we could do a large order of basics like milk, cereal etc and then not have to spend time finding a supermarket. I just topped up using the local bakery and the farm shop in Hope so felt I was still supporting local business. I could also then get on with the important stuff like visiting places and eating Bakewell puddings! So lots to recommend and we would definitely visit again, perhaps in a different season so we can take advantage of the wood burning stove. Make up of party: Family of five - three teenagers! We came to the Peak District to do some Mountain Biking and as this was our first visit to the area we wanted somewhere centally located. This is a great cottage in a fabulous location it has all you need to make it a home from home. The were four of us in the group and the accomodation was just what we needed. The addition of the garage as a bike store was a great asset. Castleton itself was a lovely village with some great pubs. A beautiful period cottage with all the mod-cons you need. Very well presented and spotlessly clean, it had everything we needed, the bedrooms were spacious with beautiful views! 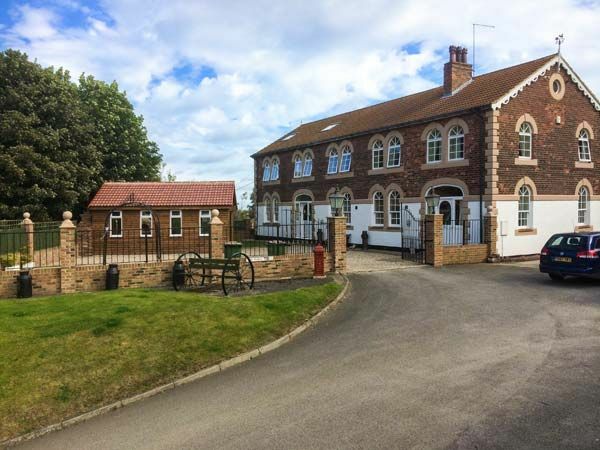 It is in a great location, a short walk to shops, pubs ( excellent food), restaurants and some great walks. It was perfect for us, we love walking, visiting stately homes and halls. We highly recommend and will certainly go back again. Thank you for your kind words. We are very pleased that the cottage was perfect for you. We would be very glad to welcome you back again soon. Perfect location - we had no need to use the car. Plenty of walks out of the door. Ideal for amusing 7 year old grandson. Garland ceremony an unexpected bonus. Very friendly village with all facilities. Thank you for taking the time to review the cottage. We are pleased that the cottage suited your needs and that you found the village friendly. Great cottage in a perfect location to the village centre. This was our first stay at Cliffe Cottage having spent alternate christmas' at a cottage in the market square since 2005. There was quite a bit of apprehension about going somewhere new (as the cottage referred to had been sold privately) but I am delighted to write that we were very impressed with this cottage. A good location very near the peak cavern and the pubs etc in the centre (just over a five minute walk to the latter). The living room was nice and large with the log burner being a delight in often blustery evenings. Plenty of logs too in the garage which was more than adequate for a week\'s stay). Three excellent size bedrooms (two double - one of which was a 4 poster bed (I wasnt expecting that), and two single beds. Kitchen was a good size (which always goes down well with the wife and well equiped too (Martin and Marian even supply an itinerary of what is in the kitchen - though we did struggle with the tin opener supplied). Washing machine and tumble dryer are located in the adjoining garage. Then of course there is free wifi which was a hit for all of us!! The Cottage was certainly a haven to unwind and there are plenty of walks you can do in the area (Cavedale, Mam Tor to name a few). Just a couple of things to note for readers. 1) there is no parking space so you have to park your car in the residential bit of the peak cavern car park which is about 100m from the cottage. The cottage provides a pass for you to put in your car for display. You can park your car in Goose Hill which is a bit closer but make sure you do homework first in finding it which can only be accessed via the Market Square (you cannot access via the peak cavern park). 2)Warning for tall people. If you are over 6ft 3 (like me) then mind your head going up and down the stairs. The majority of the cottage has high(ish) ceilings but I caught my head three times two or three steps from the bottom. Ended up hanging a bit of a bit of tinsel to remind me to duck down a bit. 3) There is small front garden but because of the cottage\'s position against a wall at the the rear there is no back garden. Not an issue for us though. The accommodation would have a got a five out five but only one minor quibble stopped me from giving that and that was due to the shower, which was very weak. I am a shower person but on the other hand it was over a good sized bath so it made a change to sink in and relax (especially after a walk). Four and a half out of five! Aside from that, this is an excellent cottage and we highly recommend to all vistors. Rest assured we will back for another Christmas (Castleton looks at its best with the Christmas trees up too). Well done to Martin and Marian for providing high quality accommodation in Cliffe Cottage! Lovely cottage with very helpful owners. We loved the location right by the entrance to the Peak Cavern and just a step away from cafes, pubs and restaurants. There are plenty of walks with stunning views to be had without having to drive anywhere. Mam Tor is a particular favourite. Great little cottage with very helpful owners. A Fantastic location right by the entrance to the Peak Cavern and within easy pleasant walk of the village centre. Some great walks on the doorstep. Had a great 3 day break. If you are not too mobile, be warned that you have to park slightly away from the cottage (1 car) and carry your luggage to the cottage but it is not far to go. If you have more than 1 car, there is parking fairly close by where you can safely leave a car overnight. Make up of party: family with 2 kids, mother-in-law and a dog. . . 5 + dog in total. All accommodated well. concern was that, as an older property, the space would be restricted, our party consisting of 5 adults and a toddler had plenty of breathing room. A nice touch was that everything is provided right down to dishwasher tablets & washing powder etc. even cling film and tinfoil. The place itself was spotless and the 3 double bedrooms are all of a good size. The surrounding area is beautiful and there are lots of places to eat and drink. All in all we had a very enjoyable stay. Make up of party: 3 generations of the same family, ages ranging from 59 years to 16 months. Make up of party: Shared with our son and our daughter and son in law from the States. Myself and my husband and our dog stayed at Cliffe cottage for 3 nights and we were extremely pleased with it. It is a lovely place. Clean, spacious, comfy and has everything you could possibly need. Stayed here during the weekend of the royal wedding. A pretty and well equipped cottage in a great location. I'd recommend the ice creams from the shop just down from the cottage at the bridge! Also good curries available at the smallest curry house ever - the curry cabin in Hope! I may well head back sometime. Make up of party: Four friends on a cycling trip.